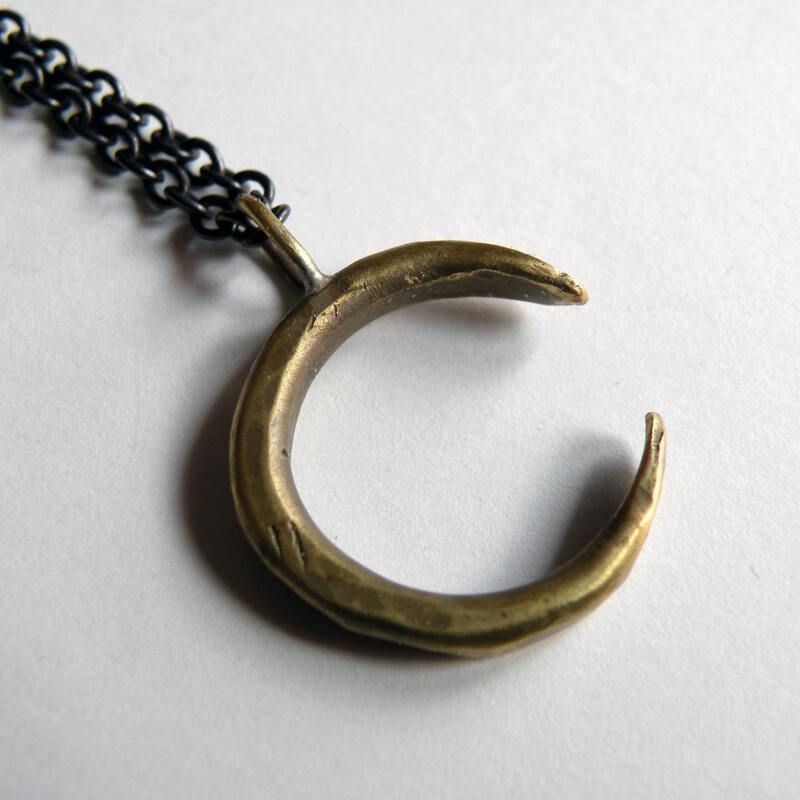 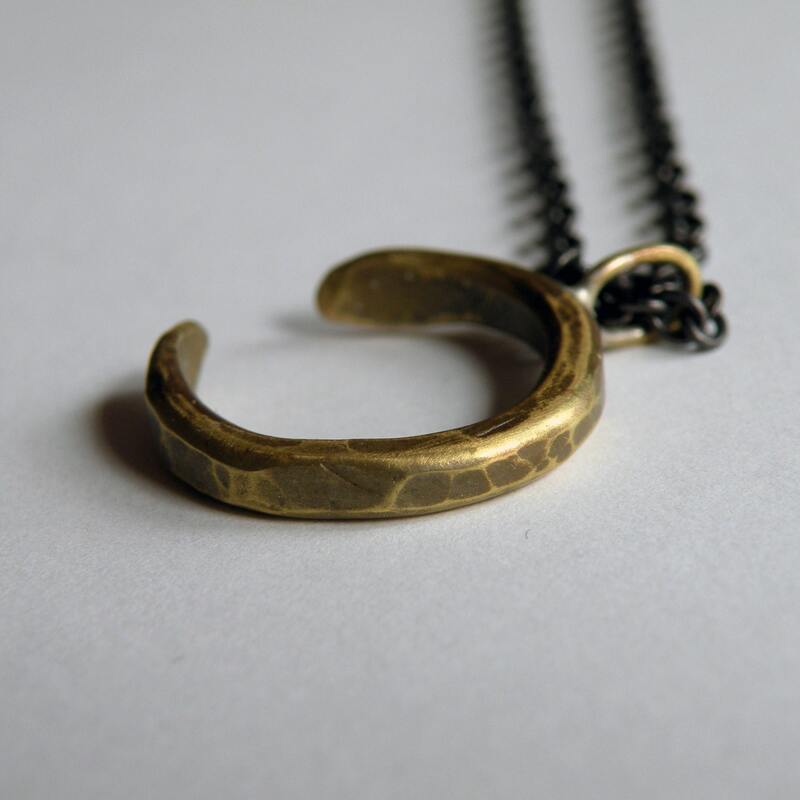 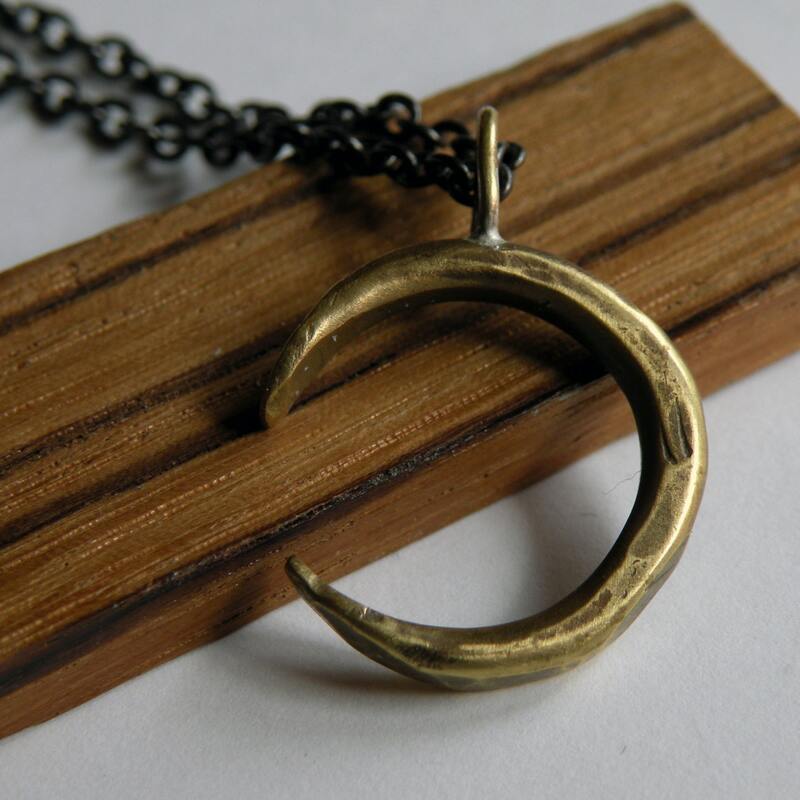 A brass moon necklace, carefully hammered and hand formed to create the crescent moon shape. 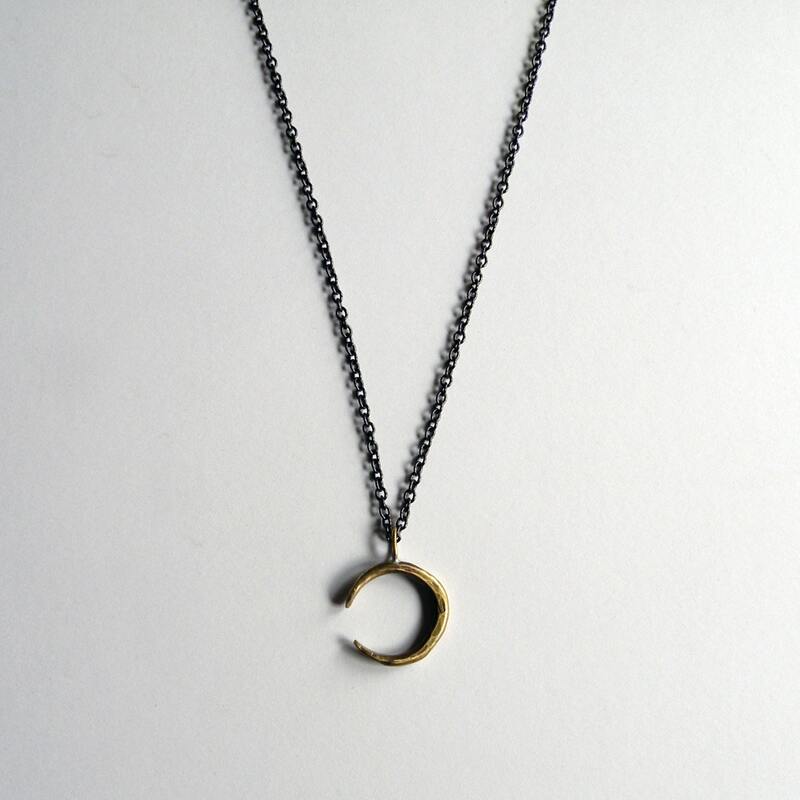 The moon is approximately 3/4" diameter. 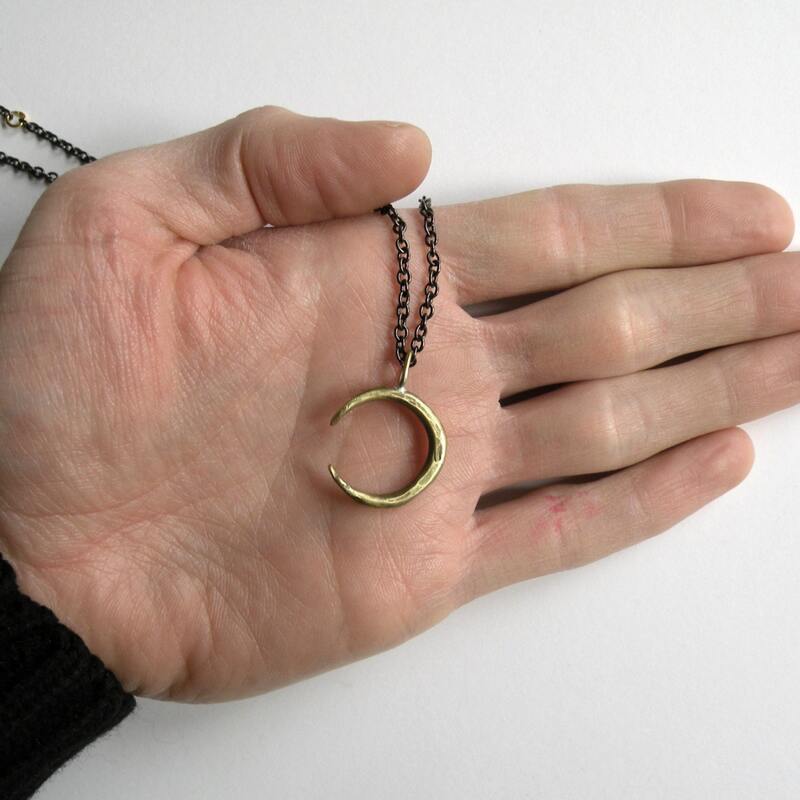 It hangs on a 26" gun metal chain with one 14k gold plated link.